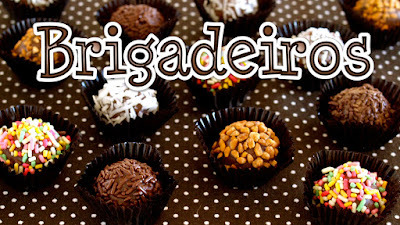 Brigadeiros are Brazilian Chocolaty Confections. They are the most famous and beloved chocolate caramel fudge truffles. 1. Place condensed milk, butter, and cocoa powder (sifted) in a saucepan. Put on low, stirring constantly for 10 minutes until the mixture gets thick and starts to come off the pan. 2. Leave to cool. When it is cool enough to handle, grease your hands with butter and roll it into little balls. 3. Roll them in sprinkles of your choice, then place them in paper or foil candy cups. You can store in an airtight container in the fridge for up to 1 week.